Dec 5, 2018 - Managed hosting provider Green House Data (greenhousedata.com) has announced the Phase 3 expansion of its Cheyenne, Wyoming data center and headquarters. Construction of the new data center expansion has begun already and is expected to be complete within Q1 2019. Phase 3 will add two new data center floors for a combined 7,500 square feet of white space. Feb 4, 2019 - Green House Data Completes Integration of Infront Consulting Group - Green House Data (greenhousedata.com), a company with multiple data centers across the United States delivering cloud hosting, hybrid infrastructure, IT modernization, and enterprise advisory services, has announced the unification of Infront Consulting Group with Green House Data. Jun 3, 2018 - Managed Hosting Provider Green House Data Announces Merger with Infront Consulting Group - Green House Data (greenhousedata.com), a platform-agnostic managed hosting provider with multiple data centers across the United States offering cloud hosting, managed Infrastructure-as-a-Service (IaaS), hybrid IT, and application-aware infrastructure, has announced a strategic merger with Infront Consulting Group – an IT consulting firm specializing in Microsoft application and Microsoft Azure solution design, automation, and deployment. Green House Data is a managed services provider that helps organizations choose the IT platforms that would best enable their business, delivered from highly energy efficient, green data centers located across the United States. Mar 28, 2018 - Green House Data Launches Managed Microsoft Azure Cloud Services - U.S. cloud hosting and colocation services provider, Green House Data, a company with multiple data centers across the United States, has announced the launch of a fully managed Microsoft Azure cloud services offering. The new managed solution will assist in the design, migration, and ongoing operation of hybrid cloud environments built on the Azure platform. By adding Azure management, Green House Data can now help clients design, deploy, and operate client infrastructure in Microsoft Azure, while also monitoring and maintaining those environments for security and availability. Jul 14, 2015 - Green House Data Gives Washington Data Centers 2,265 MW Renewable Energy Boost - Green House Data, a leader in cloud hosting, colocation, and managed data center services, today announced the addition of 2,265 megawatts of wind Renewable Energy Credits (RECs) to support sustainability efforts in Washington state. Since the company's founding in 2007, Green House Data has participated in the US Environmental Protection Agency's (EPA) Green Power Partnership, a voluntary program that encourages organizations to use green power as a way to reduce the environmental impacts associated with conventional electricity use. RECs represent physical electricity associated with a renewable-based generation source. 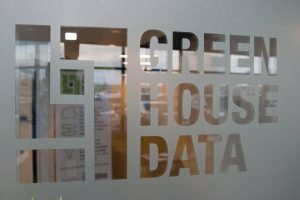 Apr 29, 2015 - Green House Data Joins EPA Top 30 Tech & Telecom List of Green Power Users - Green House Data, a national provider of cloud hosting, colocation, and managed data center services, as well as an EPA Green Power Partner and a certified B-Corporation, today announced that for the first time it appeared as No. 29 on the U.S. Environmental Protection Agency's (EPA's) Top 30 Tech & Telecom list of the largest green power users, retiring over 8 million kilowatt-hours (kWh) of green power annually. Since 2007, Green House Data has invested in sustainable energy through Renewable Energy Certificates (RECs) from, Renewable Choice Energy and WyoRECs , The company's RECs exceed total power usage, with current EPA certification at more than 145 percent.